Here at the National Marine Aquarium, we’re pretty passionate about seagrass. One of the most important habitats on the entire planet, seagrass beds have an important role to play in supporting a variety of marine ecosystems – but offering numerous benefits to the environment, too, it is so much more than just an underwater plant. With the findings of our Community Seagrass Initiative – a citizen science project designed to monitor and safeguard seagrass beds here in the South West – recently published in scientific journal, Ecology and Evolution, we can’t think of a better time to dive into just why seagrass is so vital to the health of our Ocean and our planet, how it impacts upon us, and why exactly we should be taking steps to preserve it in our waters. Here, our Community Seagrass Initiative Project Manager, Mark Parry, explains. Seagrass is a flowering plant that lives completely submerged in salt water. It has roots and leaves like the plants in your back garden but lives beneath the sea, growing in ‘meadows’ that are akin to underwater rainforests. It also creates one of the most valuable habitats on the planet and is home to hundreds of species of marine life, including seahorses and a variety of different fish. Some of those fish are very rare, protected species, and others are of commercial importance. 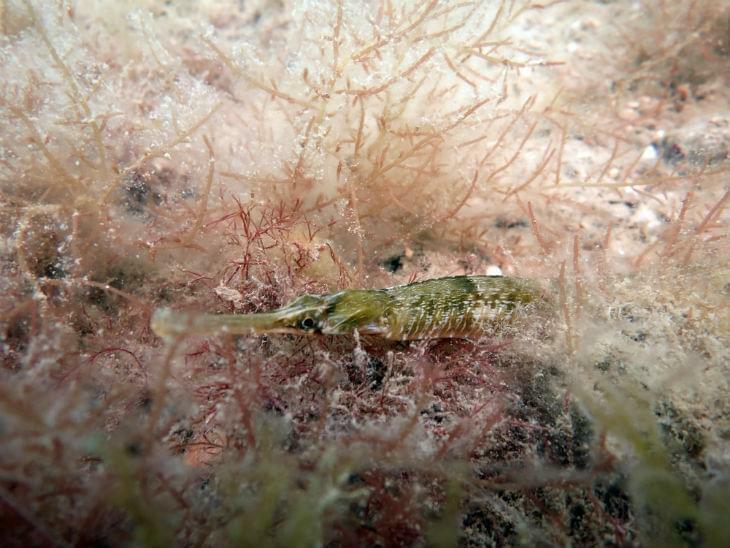 Seagrass is a protected habitat in the UK and is often found growing in sheltered coves. What role does it play in maintaining the health of our Ocean and of what importance is it to the general population? Seagrass acts like a filter keeping our oceans clean, filtering out waste products from our local waters and removing bacteria, which ultimately makes our bathing waters safer. It’s not just about the health of our Ocean, but of our entire planet, too – and seagrasses are thought to be a valuable part of the solution for climate change. According to the latest research, seagrass meadows can store up to twice as much carbon as the world’s temperate and tropical forests. 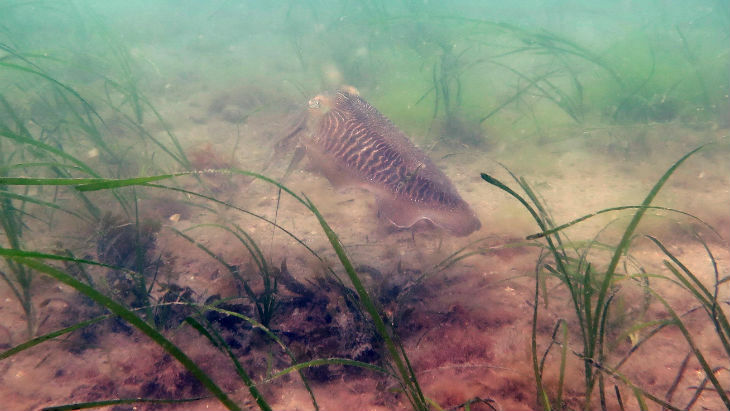 Seagrass beds also support our fisheries by providing nursery habitats for commercial fish stocks, ensuring food security and supporting our economy. Without it, our fisheries would deplete, resulting in a knock-on effect on both – and in a world where 1 billion people depend upon fish for protein, safeguarding fish nurseries is a priority. Why did you set up the Community Seagrass Initiative and what was its objective? The latest estimates from the International Union for the Conservation of Nature are that seagrasses are in decline, worldwide, by 7% a year. If these estimates are correct then seagrasses are amongst the fastest disappearing habitats on the planet. The NMA, as an Ocean conservation charity, is committed to the conservation of species and habitats in decline. We set the Community Seagrass Initiative up to safeguard seagrass habitats in our waters for rare species and to protect the nursery for many of our commercial fish species. We wanted to work with local communities to get them thinking about their connection to the nearshore environment and demonstrate that we all have an impact on our Ocean – and the best way to communicate that is to get them to experience it first-hand. The main objective of the initiative was to increase knowledge of this declining habitat and create a sense of stewardship within the community for seagrasses. Why did you go down the route of enlisting volunteer divers to help complete the project and what was the significance of their involvement? The aim of recruiting volunteers was to provide additional learning and development on the subject of marine surveys for the local diving community. Around 450 volunteers were active on the project and played a fundamental role in the monitoring of our seagrass habitats. Collectively, we surveyed 500 hectares of seabed, and there is no way we would have been able to take a snapshot of nature that big without their participation. What was significant about the findings of the project and how do they influence where we go from here? The findings of the initiative enabled us to confirm what had been observed in other countries and in other studies on seagrass habitats. Whilst it might seem like a given that this would be the case, we never really knew for sure that what was true of other seagrass habitats worldwide was also true here in the UK, but thanks to our Community Seagrass Initiative, we now do. Where do we go from here? If we want more animals in our coastal waters, we need more seagrass meadows, and to make that happen we have to look after the ones we already have and reverse the decline in their health. How can we protect the remaining seagrass? We need to understand why our seagrasses are being lost and address the issues behind it. There are many possible contributors to the destruction of seagrass habitats, from the types of moorings being used by boats in the area to issues with water quality, and it’s these issues that we need to address by finding viable solutions. When left undisturbed, seagrass beds can regenerate themselves quite quickly and retain all the benefits they provide. Raising awareness of the locations in which seagrass beds can be found and the ways in which we could potentially be impacting upon their health is a substantial step forward, it’s getting people to understand their importance that is really the key to success. Can we replenish the seagrass we have already lost? Yes. Seagrass is very difficult to grow in a laboratory, but there is a lot of evidence from international projects that have been undertaken that shows once we transplant healthy plants into areas of loss and the plants are left undisturbed, they do recover in that area very well. What would be the benefits of doing so – and what impact will it have on the general population? By replenishing seagrass beds, we can regain the ecosystems we have lost. Not only are seagrasses thought to be the third most valuable habitat on the entire planet, but they also support our fisheries, which ultimately has an impact on us all. Seagrass beds provide nursery habitats for commercial fish stocks, providing food security and supporting our economy. The fish life they support has value, as does the coastal protection they provide – and they are also an important part of the solution to climate change. Combine all of these values and you’ll see why a hectare of seagrass is so very valuable. 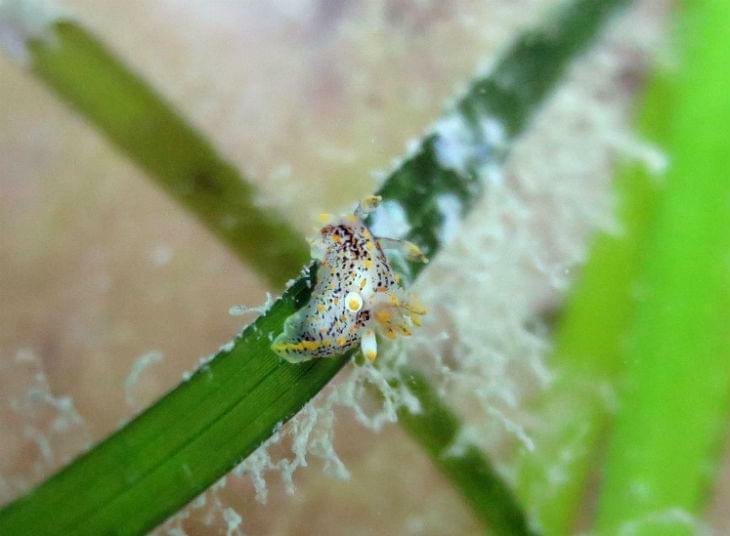 What are the NMA’s ongoing plans with regards to seagrass conservation? Here at the NMA, our aim is to create simple and replicable methods for safeguarding seagrasses – whether that be through adaptions of advanced mooring systems or increasing plant germination for replanting areas of damaged seagrass. All concrete conservation efforts need to go hand in hand with discovery and learning of the public, as ultimately it is educating people about the importance of our Ocean and the life that resides within it – as well as how they, personally, are connected to it – that inspires positive change. The NMA has long term habitat regeneration aims with national partners, so watch this space for further updates!